The all-new Ford Focus ST is built on the class-leading driving dynamics of the fourth generation Focus. The new Focus ST is a hatchback family car which is comfortable and spacious allowing long journeys to be enjoyable. There are certain technologies put in place to ensure the safety of ll drivers. One enhancement includes Ford's first installation of an electronic limited-slip which is different for a front wheel drive chicle. The responses to changing grip level have been sharpened to ensure the drivers safety. Computer-controlled pre-emptive actuation and selectable Drive Modes are used for driver inputs. 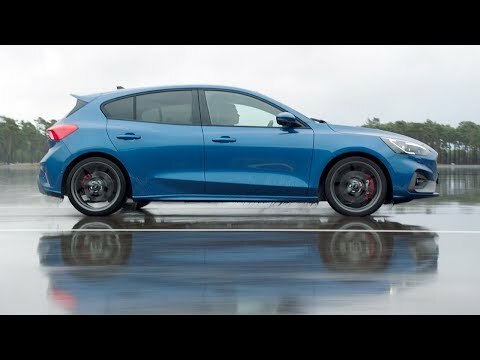 Why not take a look at the video and see the Ford Focus ST in motion. To get in contact about the All-New Ford Focus ST call us on 028 8772 3376 to book a test drive.